There are certain do-it-yourself projects that require tools or equipment that are outside the realm of what most homeowners have the space to store or budget to buy. This should not be a roadblock to your project but rather a stepping stone into the wonderful world of tool rental. 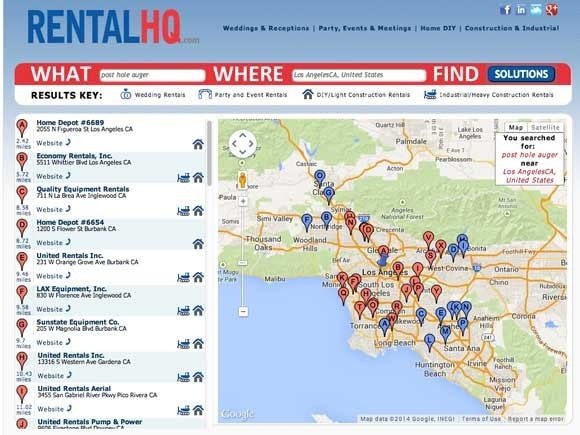 The American Rental Association has setup a website called RentalHQ.com that serves as an international equipment rental store locator. You simply enter the item you wish to rent and where you need it and you’ll receive a list of local stores with websites and phone numbers to contact them. Also a handy map to see how near the store is to your location. This Spring we plan on installing a privacy fence and a post hole auger would make the job much easier, but we will only need the auger for a couple of days. There’s no sense in buying a specialty tool like this when we can rent it for a fraction of the cost and only pay for the time spent using it. After doing a quick search on RentalHQ.com we received a ton of results in the LA area and we could easily see which rental location was closest to us and open during the hours we needed. It just took a quick call to confirm the tool was available and we headed over to pick it up. The website also has tips on renting and using the equipment so you aren’t just left on your own to figure it out. 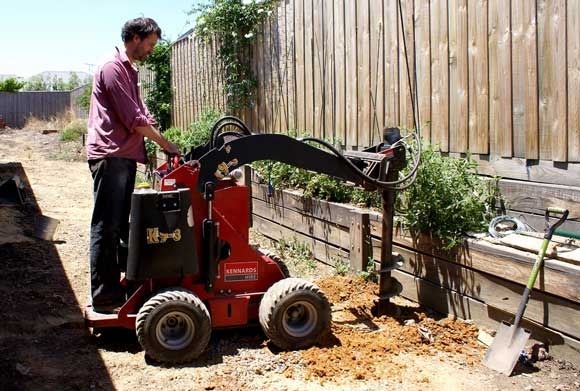 In addition to DIY and light duty construction, the RentalHQ.com website will also find heavy construction equipment such as skid steers and tractors for your bigger projects. Renting. So Smart. So Easy. This is a sponsored conversation written by me on behalf of American Rental Association. The opinions and text are all mine.